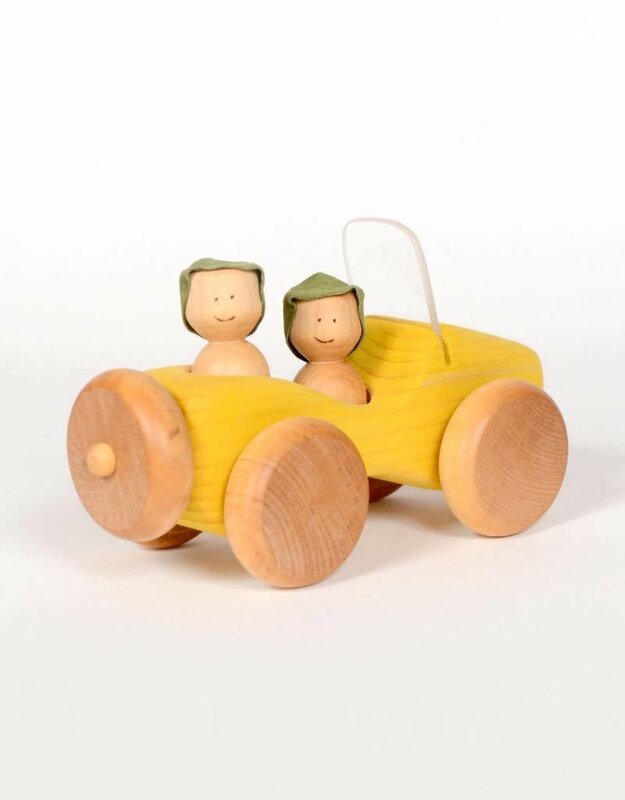 Atelier Cheval de Bois is a small handmade toy factory, one by one, in a workshop located in the Eastern Townships. 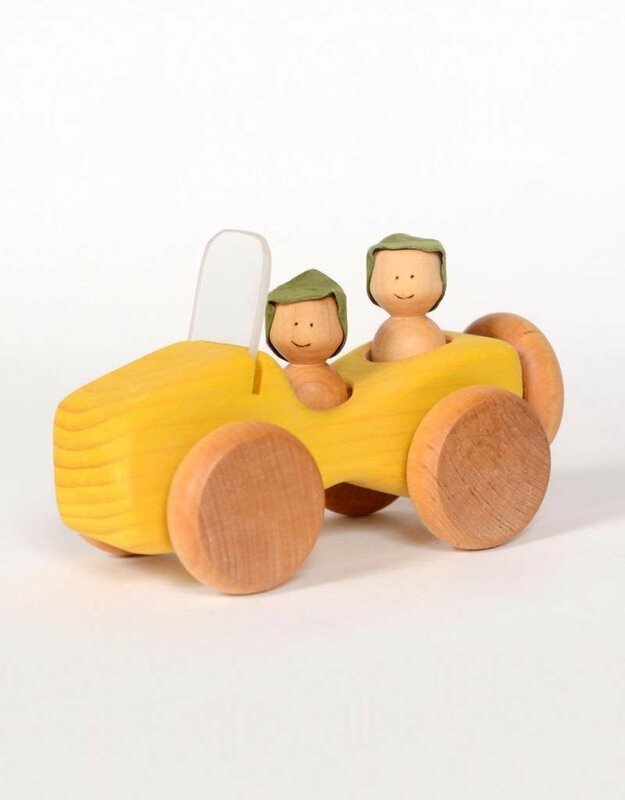 Their first mission is to allow children to have fun with attractive, healthy, durable, unique toys and make toys that promotes the imagination of young and old who, from one generation to another, become treasures family. This little jeep is perfect for playing in the house or outside. It carries two little characters that easily remove for more pleasure. The truck is made of pine, the wheels are maple. The little driver is maple and his hat is suede. Protected with a certified vegetable oil for food contact. The color of the characters' hat may vary from the one on the picture. It is possible to wash the toy with a damp cloth. Dry well. 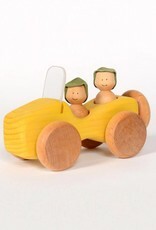 Protect the wood if necessary with a natural vegetable oil or a natural wax for wood, applied with a soft cloth.